Millions of Americans suffer from knee pain due to osteoarthritis everyday. Knee pain likely affects everything you do, from work to play, and ultimately your quality of life. Our physical therapy professionals at Aspire use some of the most advanced treatment options available including: FDA approved supplementation knee injections, deep tissue laser therapy, physical therapy and pain management, if needed. 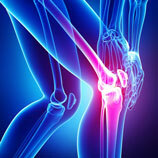 Osteoarthritis, also known as degenerative joint disease, is the most common type of arthritis. With osteoarthritis, the cartilage starts to wear away or breakdown. Without cartilage, the bones rub together resulting in pain, swelling and decreased knee joint mobility. In most individuals this happens over time, especially for those over the age of 50. Have you been diagnosed with osteoarthritis of the knee? Do you wake up with knee pain? Does your knee pain keep you from certain activities? Have you considered having knee replacement surgery? Do you have difficulty going up and down stairs due to knee pain? Do you take medication for knee pain? Does knee pain affect your quality of life? 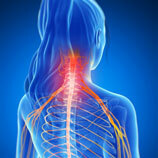 Aspire’s physical therapy professionals use guided ultrasound to pinpoint the problematic area with extreme accuracy. A viscosupplementation is then injected into the knee. This lubricant helps with the inflammation process and decreases pain and swelling, allowing an increased range of motion for the knee joint. The easiest way to think of these knee injections is that they help replace the knee joint’s natural fluid. It's like oil for your knee. The knee injections combined with a physical therapy program specifically designed for the knee is extremely successful in the majority of these cases. Our physical therapist’s patients can start to feel better after 2-6 weeks: Each patient is different and heals differently due to many factors including the severity of the symptoms. 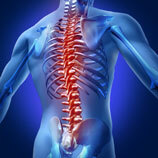 Aspire’s physical therapy professionals are in-network with most major insurance companies including Medicare. When you come in for your free consultation, we will go over your insurance benefits allowing you to make an informed decision about your care.